Regular dental cleanings are essential if you want to preserve your long-term dental health. When you receive a professional teeth cleaning at our Phoenix, AZ, practice, you will enjoy gentle and compassionate care. During the process, one of our skilled hygienists will remove plaque and tartar from your teeth. Then the doctor will conduct a complete dental exam. At Advanced Dental Health, we recommend that you come in for a cleaning every six months. 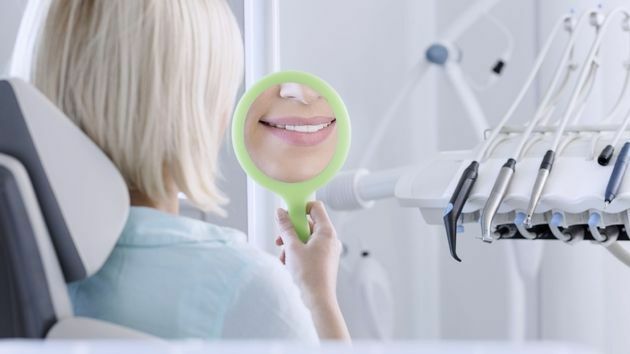 These visits can help to prevent cavities, gum disease, and other serious dental concerns. Professional dental cleanings are simple procedures, but they can have a dramatic impact on your long-term oral health. Teeth cleanings remove the buildup of plaque and tartar that remains despite regular brushing and flossing at home. Dental plaque is a sticky deposit on your teeth which becomes a breeding ground for bacteria. This bacteria creates acid by feeding off sugars and starches in your food, and these acids wear away at your teeth enamel. As the acid and bacteria work their way deeper into your teeth, cavities form. Professional dental cleanings are simple procedures, but can have a dramatic impact on your long-term oral health. Alternatively, bacteria could gather along your gum line. Left unchecked, the bacteria will multiply, moving deeper below your gum line. Eventually, you can develop gum disease as bacterial pockets form in the soft tissues. Gum disease can have serious consequences for your oral health, including tooth loss, gum recession, and even jawbone recession. It is important to brush and floss regularly at home. However, even rigorous at-home dental hygiene will not fully eradicate oral bacteria. Therefore, it is essential that you visit the dentist at least twice a year. Dental cleanings will allow the hygienist to remove bacteria, plaque, and tartar that you cannot eliminate on your own. It is essential to visit the dentist at least twice a year to preserve the health of your smile. When you come in for a cleaning, you will meet with one of our skilled hygienists, who will carefully remove harmful substances from your teeth. At Advanced Dental Health, our dental cleanings are gentle and precise. You should not experience gum inflammation or any undue discomfort. Our team’s friendly demeanor will put you at ease, making your visit enjoyable and stress-free. At your cleaning, your hygienist and one of our other team members will also examine your teeth. If you are suffering from early-stage gum disease, we may perform a deep cleaning. During this treatment, your practitioner will remove the pockets of bacteria from your soft tissues. He or she will also smooth away rough spots from your dental roots to prevent future buildup. How Often Should You Receive A Cleaning? We typically recommend that you schedule a cleaning every six months. In some cases, however, we may suggest more frequent appointments. For example, if you have a history of recurring decay, we may recommend that you come in three to four times a year. You may also benefit from more frequent visits if you have been diagnosed with gum disease. Scheduling your routine visits is one of the most important and effective ways to protect the health of your smile. Contact Advanced Dental Health today to book your appointment.